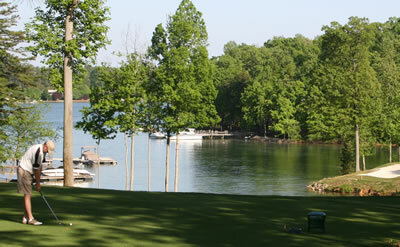 Get To Know Picturesque Waterfront Homes on the Shores of Lake Norman Today! Whether you are looking to relocate to the Mooresville or Lake Norman, NC area or interested in selling your property, choose a local realtor that will put their skills to work for you. At Lawrie Lawrence Real Estate, our real estate agents use their extensive knowledge of the area to match our clients with the home of their dreams. Whether you are interested in quiet luxury homes in the country or waterfront homes to fit with your recreational lifestyle, our real estate agency has access to a variety of properties and lakefront homes for sale throughout North Carolina, from Lake Norman, to Cornelius, Davidson, Huntersville, Mooresville, NC and beyond! With information on the school districts, local economy, and the history of the area, our real estate agents will get to know you, your expectations, and provide insight on the communities where we have listings for homes for sale. From luxury homees in Mooresville, NC to gorgeous waterfront property on the shores of lake Norman, NC, at Lawrie Lawrence Real Estate, our professional and friendly team have the local expertise you need to find the home you have been looking for. Check out our featured listings today for more information and explore current homes and lake houses for sale. For your convenience, we have provided links to various community resources and public services offered throughout Mooresville, Lake Norman, NC, and the surrounding areas to provide our clients with information that can help them make informed decisions in their real estate search. To learn more about our current real estate offerings and the services our local realtor can provide, contact Lawrie Lawrence Real Estate today.